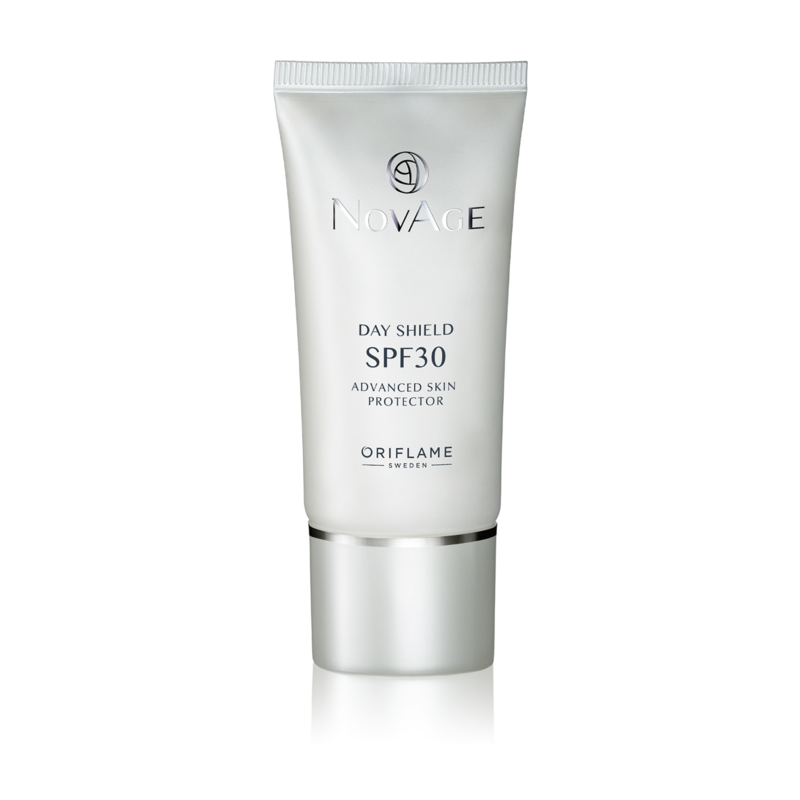 Protect your skin from harmful UV rays – the leading cause of aging – with Oriflame’s NovAge Day Shield, and keep your skin younger for longer. Lightweight, non-greasy and breathable, the product is required to complement your regular NovAge face care line . Simply apply on the day cream and reapply whenever necessary, throughout the day. Provides high protection against damage to the skin by UVA and UVB rays. It is easily absorbed, helping the skin to stay hydrated, smooth, smooth and comfortable. Excellent make-up base. It can reapply throughout the day. Day Care Cream with Advanced SPF 30 Protection, Hyaluronic Acid and Skin Tone Brokers. Non-greasy formula, the fluid formula absorbs easily, with a light and transparent finish. Leaves skin moisturized, luminous, smooth, smooth and comfortable. 30 ml.